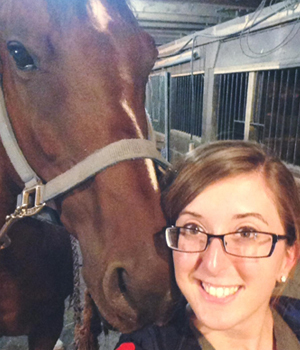 In 2014, Amanda completed her Bachelor of Science in Animal Biology at the University of Guelph. She then joined the team at Campus Estates Animal Hospital in 2015 as a receptionist and veterinary assistant. She is now working part time while completing her Masters of Science degree at the Ontario Veterinary College. Her MSc. project focuses on canine nutrition and body condition. When not working or in school, Amanda enjoys reading, riding horses, visiting family and friends, and spending time with her cat, Oscar.